Flow control engineering company Rotork Australia has introduced an innovative range of manually energised spring-return actuators to provide an economical solution for infrequently operated failsafe valves. 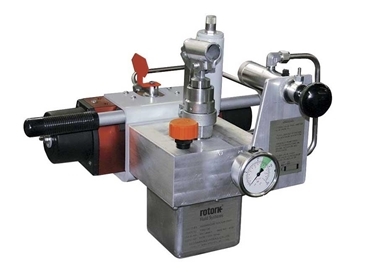 Rotork ManPower actuators do not require external electrical, hydraulic or pneumatic power supply, greatly reducing installation time and expense. Suitable for a wide range of ball, butterfly and plug valves, the scotch-yoke actuators are equipped with a compact, self-contained manually operated hydraulic power pack containing a hydraulic hand pump that is used to operate the actuator and compress the failsafe spring, holding the valve in the desired open or closed position until a failsafe signal is received, at which point the spring will immediately drive the valve to the safe position. The failsafe operation of ManPower actuators can be triggered by electrical signals, high or low pressure pilots or fire sensors, enabling the successful fulfilment of ESD (Emergency Shutdown) and pressure related protection duties in the oil, gas, petrochemical and pipeline industries.